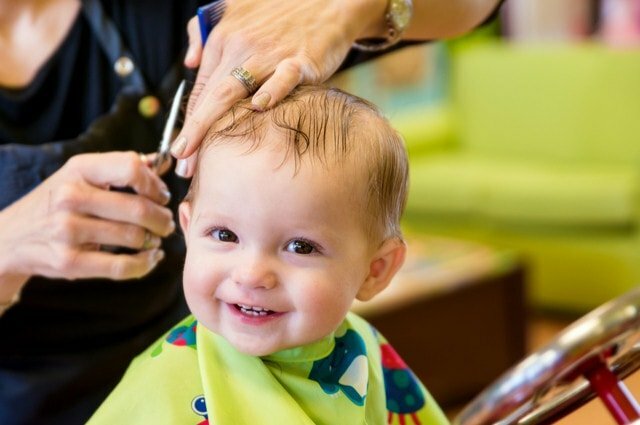 Little BigHeads: Child friendly hairdressing with child friendly salons. Image by Rob Hainer (via Shutterstock). Little BigHeads, not to be confused with ITV’s programme hosted by Jason Manford, is turning a few heads in North East Cheshire. They are a small chain of hairdressers with a difference, with shops in Wilmslow, Bramhall, and Altrincham. The difference? Child friendly hairdressing, with all three of their shops designed with kid appeal in mind. As a trip to the salon can be stultifying for younger customers, each salon has a television in the background and a playroom. In our previous article on autism friendly hairdressing, there was reference to how two hairdressers made life easier for children with autism spectrum conditions. The manager, Katy, has gained an interest in autism spectrum conditions and Special Educational Needs, as has Dannii, one of Little BigHeads’ stylists. Their approach to child friendly hairdressing is a better understanding of its core market: toddlers and primary school age children. The genius behind the business is their owner, Sharon Dobson. She saw a gap in the market, making her three Little BigHeads shops a ‘must-visit’ destination for parents and young children. In addition to child friendly hairdressing, all three of their shops sell children’s hair products, footwear, and accessories. Parents can call in for a new hairdo too, plus there’s a loyalty scheme, and pamper packages. Children with autism spectrum conditions are also catered for and – if you remember our previous article with the Blackpool barber – they have even cut children’s hair in the seat of a car. On weekdays, their salons are open from 9.30am to 5.30pm. On Saturdays, from 9am to 5pm. If your child needs their hair cutting on Sundays, the Bramhall branch is open from 10am to 4pm. To find out more about Little BigHeads’ novel approach to hairdressing, their website is www.littlebigheads.co.uk. Passion Hairdressing and Beauty, 20 June 2017.